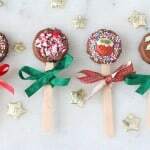 With just a month to go I think its now safe for me to start talking about CHRISTMAS and if you’re hoping to indulge in some healthy festive treats then today’s recipe is perfect for you! 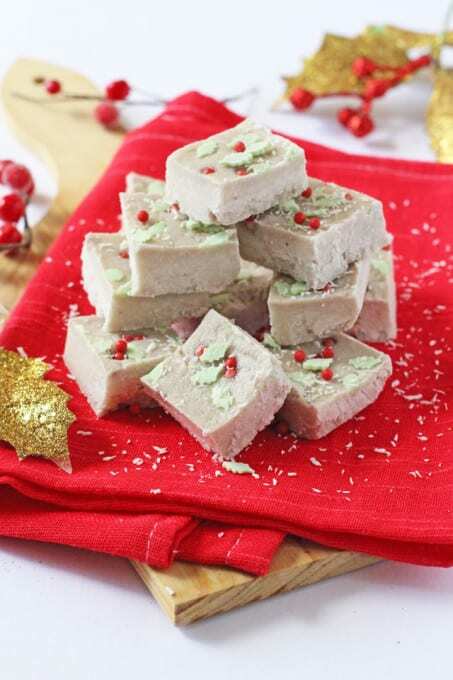 We usually think of Christmas fudge as being quite processed and full of sugar, but it is possible to make a very healthy alternative using just two simple ingredients; shredded coconut and banana! Place the shredded coconut in a high speed blender and blitz until it reaches a butter consistency. If you are having difficulty getting it to blend try adding a small dash of coconut milk or melted coconut oil to get it moving. Add the banana and blitz again until combined. Spoon the mixture into a small dish lined with parchment paper. Top with sprinkles if desired and refrigerate for 1 to 2 hours or until the fudge has hardened. 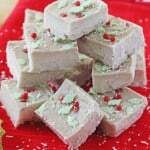 I know this is a Christmas recipe but I love fudge so would eat this anytime! Can’t wait to make a batch. Wow! 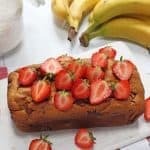 What a fantastic idea – off to read the recipe now! 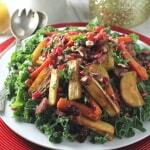 Thanks for entering the first Festive Food Friday!